The cover for the June Krakow Post was created by Katarzyna Zapart, a recent graduate of The Academy of Fine Arts in Krakow, whose final student project won a prestigious Graphis Platinum Award for New Talent, 2014. 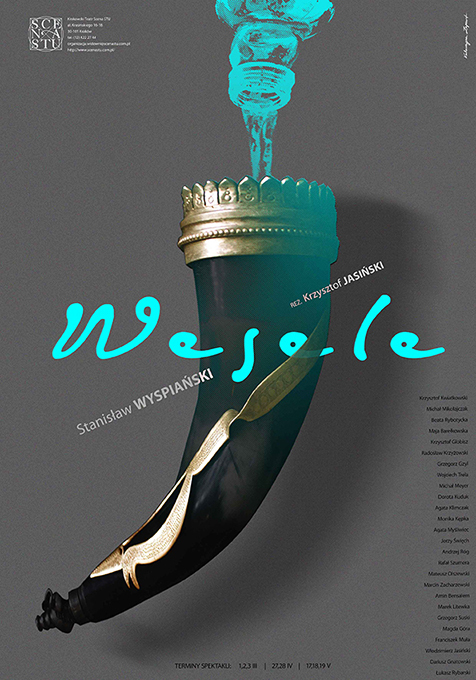 Her submission to the competition bested new design talent from around the world and consisted of a series of posters for Krakow’s Theatre Scena STU. Vivid and hyper-realist in style, Katarzyna’s work is firmly in the tradition of superb Polish poster design, which packs wit and meaning into images in a way that makes the modern Hollywood poster look like a child’s drawing. 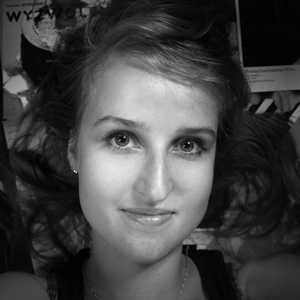 Katarzyna is now working as a freelance graphic designer and we anticipate her designs making the world a better place to look at in the near future. Krakow Post: Where are you from? Katarzyna Zapart: I’m from Kraśnik, a small town near Lublin. KP: How long have you lived in Krakow? KZ: Three years. Before that, I lived in Lublin and Warsaw for a while. Krakow is the best of course. KP: Were you always interested in graphic design, or did you start out in a different branch of the arts? KZ: I think I was, but I wasn’t aware of it. In high school, or maybe earlier, I decided to go into arts and I already knew it would be graphic design. Honestly, I couldn’t design anything in those days, but I just wanted to be a designer. The decision was as simple as waking up in the morning. KZ: I love Stefan Sagmeister, because he is so real about what he does. He will literally do anything for graphic design, including running naked or cutting himself. One day, I’ll go to New York and cooperate with him (hopefully without cutting myself). 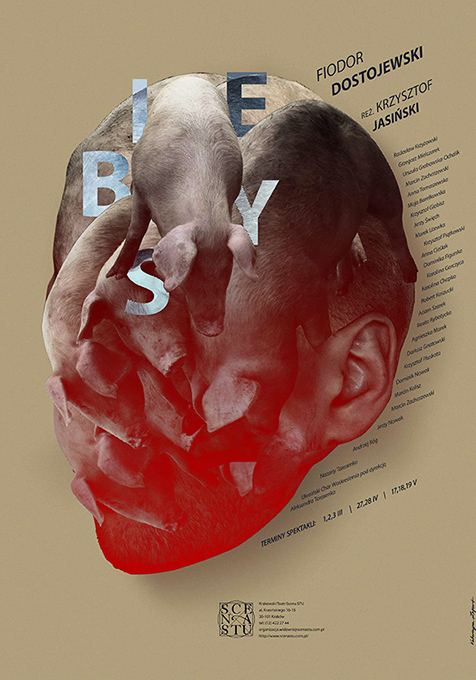 I also admire Michał Batory – a Polish designer living in Paris. KP: How would you describe your ‘design philosophy’? KZ: Design makes me happy when I’m sad, and keeps me sane when I’m getting crazy. I love the creative process, which is why my favourite creative field is theatre posters. I like to compress the whole story into one, metaphorical object. I also like that design has the power to make people think about what I am communicating to them. I don’t have to say anything – I show it. KP: What, for you, is a recent example of poor design that we see around us in Krakow, and what is good? KZ: I admire Opera Rara’s posters and the Jewish Culture Festival branding. What I don’t like is the KRK logo – I agree with Studio Otwarte, who said Krakow should use its coat of arms instead. I also don’t like the Winter Olimpics logo – it reminds me of Ukrainian patterns and colours, but nothing Cracovian or Polish. KP: If you could design a poster for one event / performance / product at any time or place in history, which would it be? KZ: I think the end of the world would be an interesting event. But seriously, I’d like to cooperate with theaters. 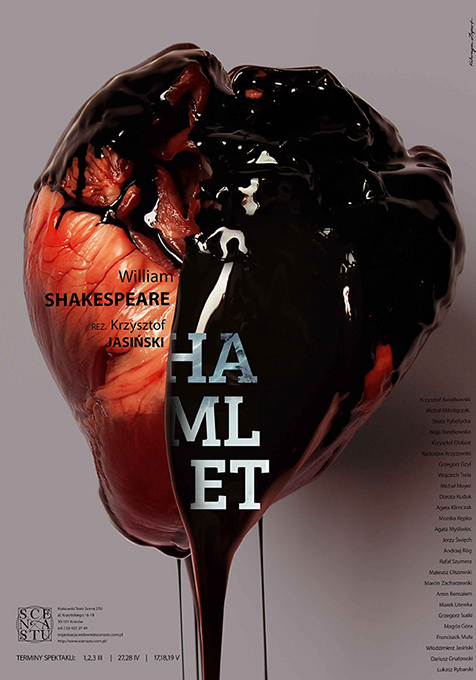 Now I have a few Othello and Titus Andronicus poster ideas in the back of my mind. The bigger the massacre, the more interesting the ideas. KP: If you could live anywhere, where would it be, and why? KZ: I would like to travel and live in many places. I’d like to live for a while in Nepal, maybe Malta and – first of all – New York. But Krakow will be always my home, even though I wasn’t born here. Even if I move to another country, I’m sure I will come back here. KP: Where do you like to relax in Krakow? KZ: I relax on ul. Tomasza. I also like Artefakt in Kazimierz – they have very good beers – and many other places. I’m still discovering new ones. KP: If you were Empress of Krakow for a day, what would you change? KZ: I would close all the Cocomo and other go-go clubs.